While most people operate with only three degrees of action–no action, retreat, or normal action–if you?re after big goals, you don?t want to settle for the ordinary. To reach the next level, you must understand the coveted 4th degree of action. This 4th degree, also know as the 10 X Rule, is that level of action that guarantees companies and individuals realize their goals and dreams. 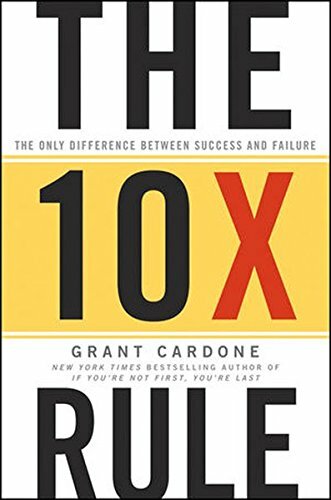 The 10 X Rule unveils the principle of “Massive Action,” allowing you to blast through business clich s and risk–aversion while taking concrete steps to reach your dreams. It also demonstrates why people get stuck in the first three actions and how to move into making the 10X Rule a discipline. Find out exactly where to start, what to do, and how to follow up each action you take with more action to achieve Massive Action results.